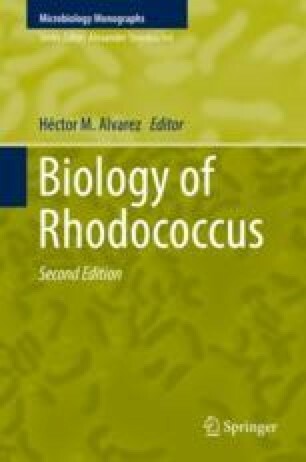 The genus Rhodococcus has had a long and complicated taxonomic history. With the advent of 16S rRNA gene sequence analyses and, subsequently, whole genome-based phylogenomic studies, the heterogeneity within the genus has become progressively more apparent and better resolved. We here review recent advances in the systematics of the genus, which currently contains more than 50 described species. Important developments include the proposed reclassifications of Rhodococcus equi and Rhodococcus kunmingensis into novel genera as Prescottella equi and Aldersonia kunmingensis, respectively. Notably, phylogenomic studies consistently resolve the genus Rhodococcus into multiple species-groups of coherent composition which thus likely merit separate genus status alongside Rhodococcus sensu stricto. In particular, a well-sampled group of plant-associated species we here define as the “Rhodococcus fascians assemblage” likely represents a novel genus.